$1,150 /week* – Plus add 18% sales tax. 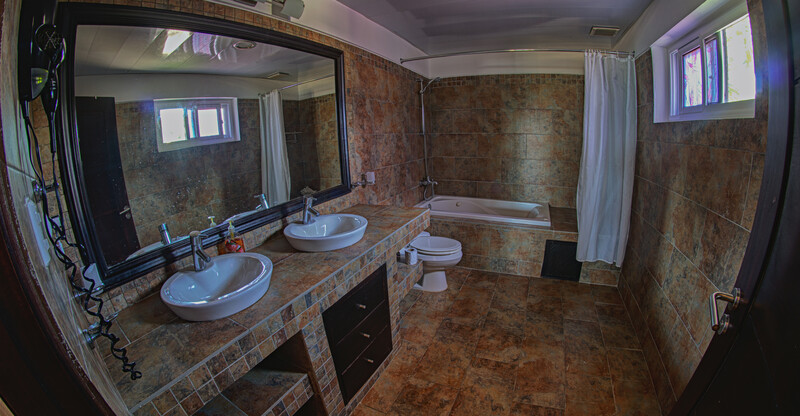 Enjoy the best spot in the North coast of the Dominican Republic, in this beautifully maintained condominium complex, right on the world famous Kite Beach. It is great for singles, couples, and families with children. 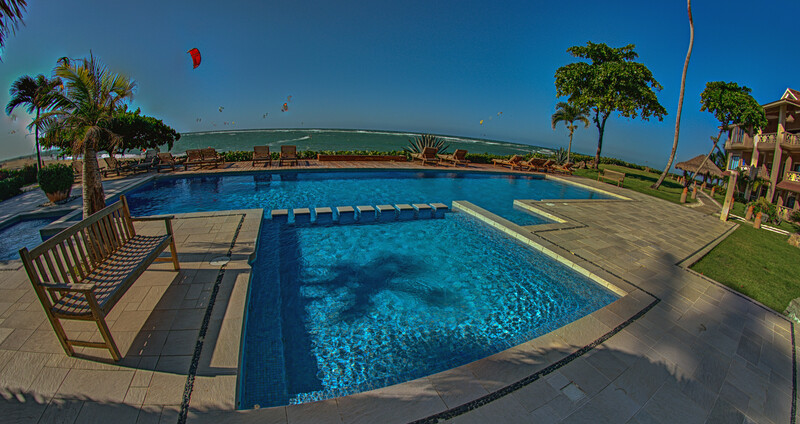 Relax in the ocean, tan in the sun and warm breeze, by the pool overlooking the kite surfing action. 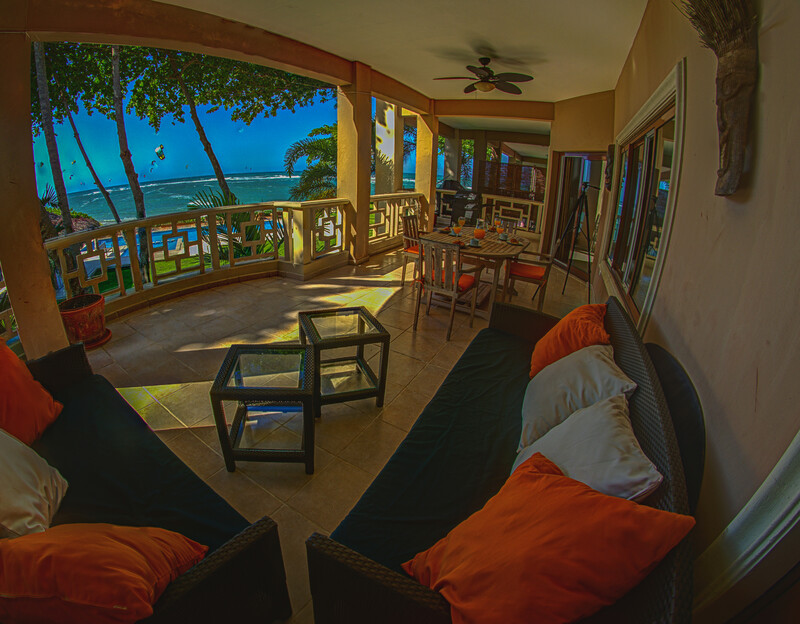 This beach front spot is on the second floor and has 1800 ft2 (167 m2) of internal space and a 200 ft2 (19 m2) balcony/deck with a BBQ. 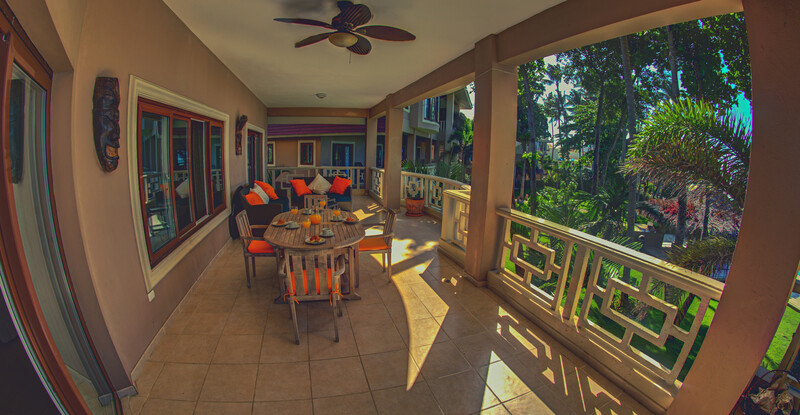 The huge deck runs the whole length of the unit with a breathtaking view over the beautifully landscaped garden, the pool, the beach and the ocean surf. It is an amazing place to relax with friends. 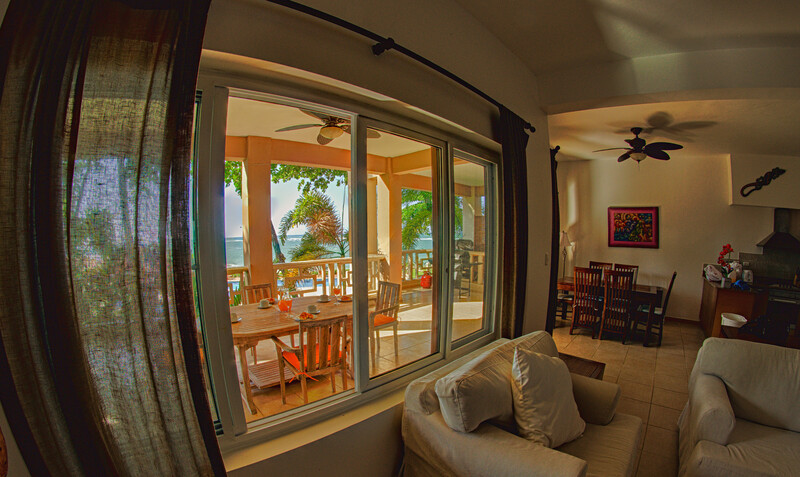 Deck seating has 2 couches and a large dining table with chairs. 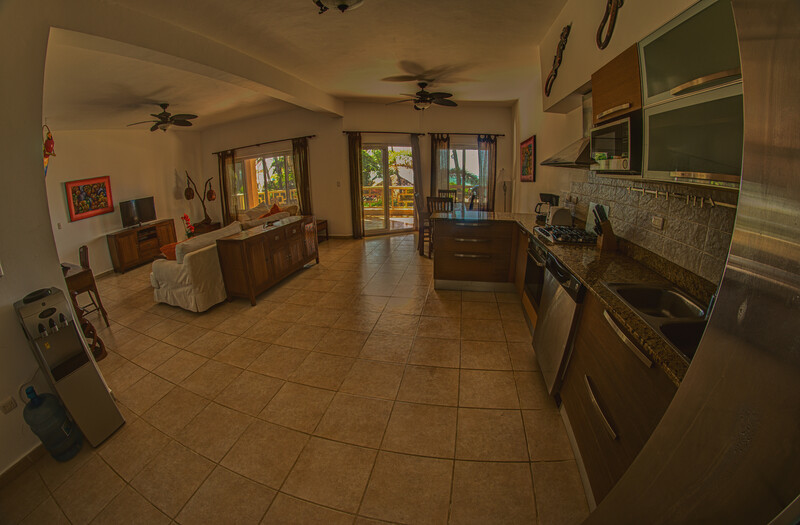 The kitchen has granite counter-tops and all appliances, and a large dining and living area, with central air conditioning, TV, and Wi-Fi. 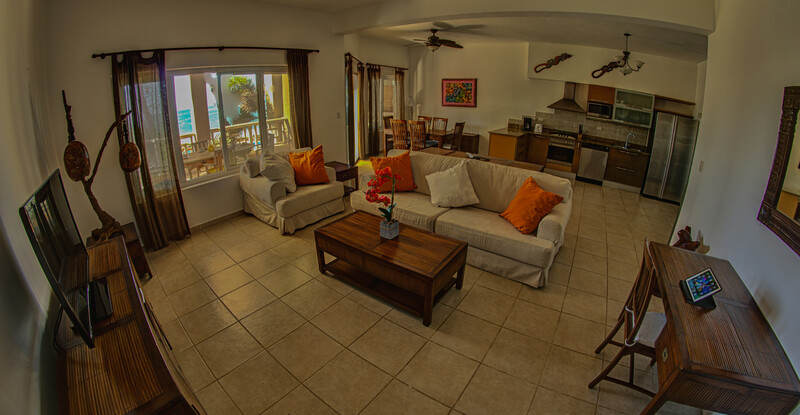 This 2 bedroom 2 bathroom condo comfortably sleeps 4 to 6 people: the master bedroom has a King size bed, bathroom en suite and magnificent ocean views, the second bedroom has 2 queen size beds and a private bathroom. 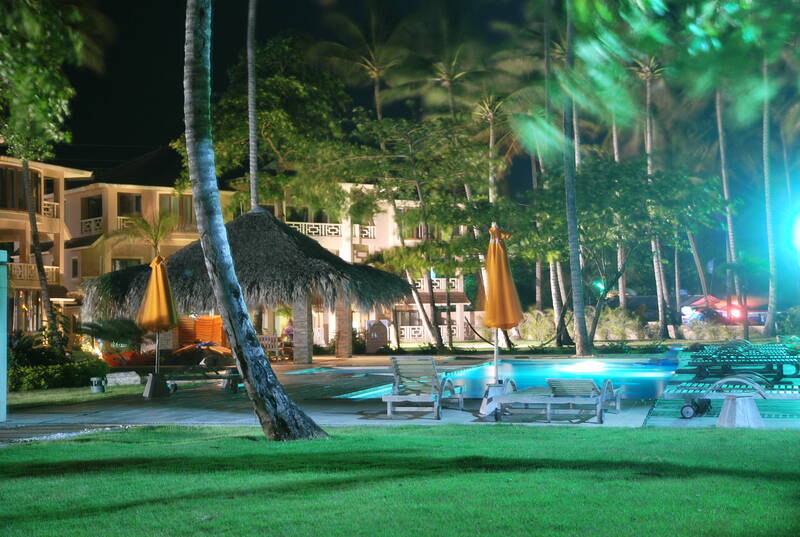 Walk out the door down the beach to Cabarete for a morning or evening stroll, or to your favorite coffee spot. During the day, take part in all sorts of activities Cabarete offers: world class surfing and surf schools at Encuentro, scuba diving in Sosua, golfing at world famous Playa Grande, canyoning, mountain biking, sailing at Cabarete’s Laser Bic Center, windsurfing, horseback riding, and of course kite surfing from your condo at Kite Beach, in the best spot around. 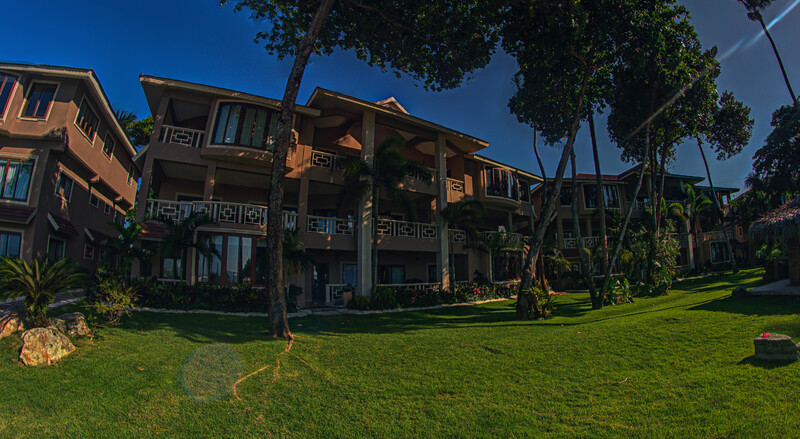 Beginners will find many very well qualified kite schools right next door to the condo. Kite Beach also has several quiet beach bars and restaurants, and of course the night life and restaurants of Cabarete are never far away. 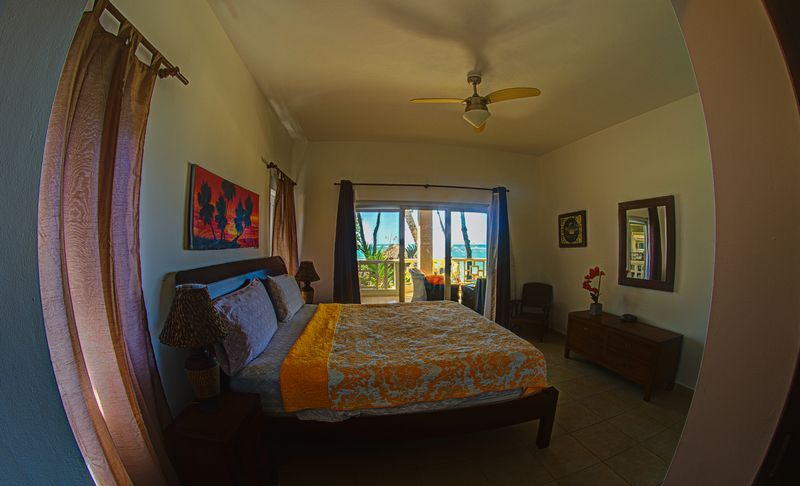 If you are looking for quiet nights, good sleep and peace, this property at Kite Beach is the place. 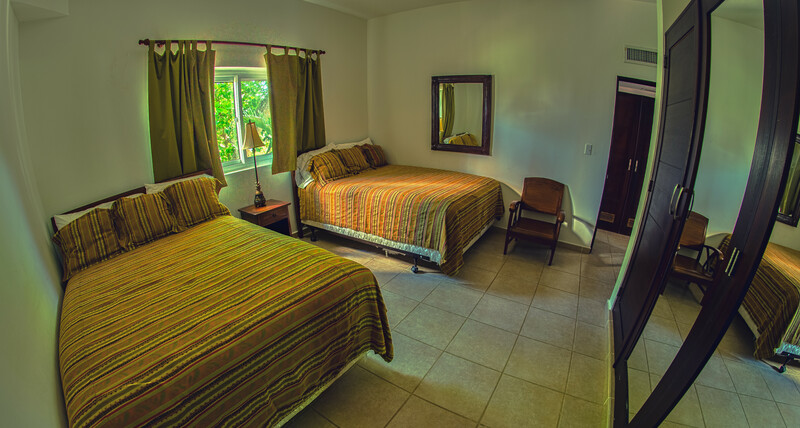 Prices are for two person occupancy. 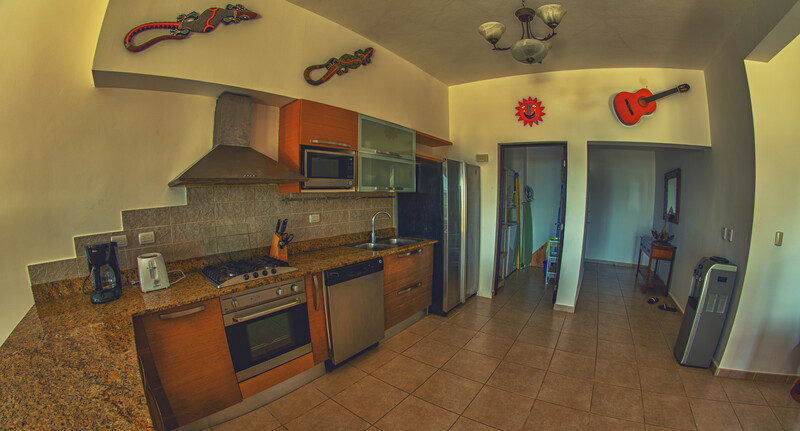 Additional charge of US$ 140/week for up to four guests.